Women have always been an integral part of a healthy church. In the Bible we find many examples of women who believed the gospel, ministered to the disciples, and fulfilled important roles in the church. “I am reminded of your sincere faith, which first lived in your grandmother Lois and in your mother Eunice and, I am persuaded, now lives in you also,” Paul writes in 2 Timothy 1:5. Another example is that of Lydia, who was converted after hearing the gospel preached and opened her home to the disciples to be their home base while they remained in Philippi. Yet another example is that of Priscilla. She is always mentioned alongside her husband, Aquila, and together they helped Paul in his ministry. “Greet Priscilla and Aquila, my co-workers in Christ Jesus. They risked their lives for me. Not only I but all the churches of the Gentiles are grateful to them,” Paul writes in Romans 16:3. More examples abound in the pages of the New Testament. Women clearly played an important, central role in the early Church, but over time, this role often seems to have been diminished and often women have been sidelined. Instead of allowing women’s ministry to be a subset of ministry in the Church, in which the male leaders are never involved, Newbell advocates for a more integrated approach in order to create a more whole church. “When men don’t engage in ministry to and for women, women tend to function as a parachurch ministry within the confines of a local church. And if they don’t find discipleship in their own churches, they go elsewhere,” she writes. But perhaps male Church leaders may not know where to begin to start encouraging women’s ministry and discipleship. 1. Read discipleship books written by female authors and stay in conversation with women. 2. Enable the older women in your church to disciple the younger women. Male church leaders should invest in getting to know the women in their churches so they can foster helpful relationships between older and younger women. 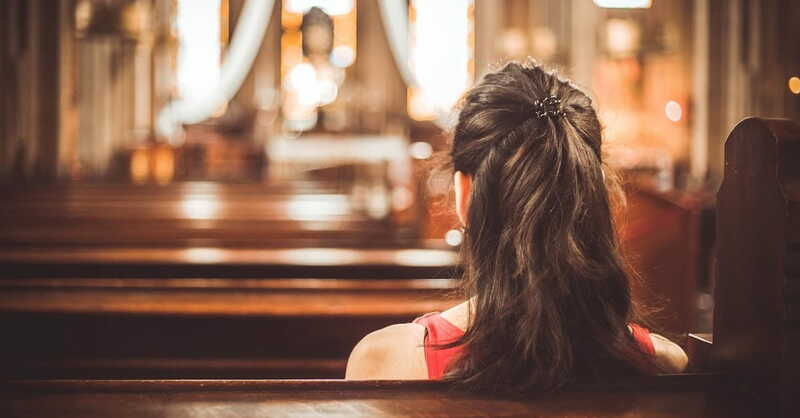 “Pastors would need to knowthe women in their congregation in order to identify women who would take up the charge and pursue the call of discipling others,” Newbell quotes Kori Porter, a Ministry Fellow with Christian Union at Princeton. 3. Offer some discipleship courses that are integrated rather than always gender-segregated. Although there are certainly times for men’s only and women’s only groups and events within the Church, it’s also important for men and women to grow in faith together. Newbell reminds male church leaders that many of the learning opportunities provided by the church do not need to be gender-specific. 4. Whenever possible, support women in their pursuit of theological training. Newbell shares a personal story of when she first became a Christian as a young adult. She expressed to her pastor that she thought she would like to pursue a degree in biblical counseling. The pastor’s response: “Well, you are probably going to be a mom.” While Newbell stresses that being a mom is an important calling in life and one of her greatest joys, she finds the pastor’s response to be insufficient for the women who are being called to that kind of ministry. Instead, pastors should encourage women to study and learn more about the Bible, their faith, and how to live it out. “Having theologically trained women is just as beneficial to the church as having theologically trained men. When women are formally equipped in various areas of discipleship, it’s to everyone’s benefit,” she writes. Both women and men are integral to the growth and health of the Church and each bring specific gifts that can benefit the Body of Christ. Ultimately, as Christ-followers, we are all pursuing the same goal. “So in Christ Jesus you are all children of God through faith, for all of you who were baptized into Christ have clothed yourselves with Christ. There is neither Jew nor Gentile, neither slave nor free, nor is there male and female, for you are all one in Christ Jesus. If you belong to Christ, then you are Abraham’s seed, and heirs according to the promise” (Galatians 3:26-29). To read Newbell's last two points, click here.